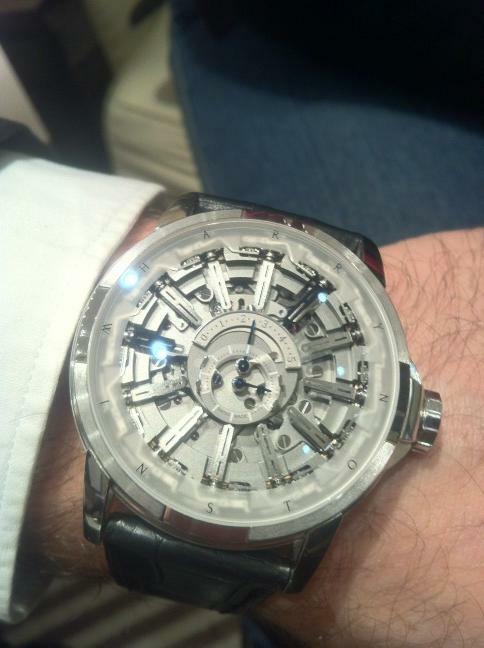 For those who aren’t familiar with Harry Winston, every year the brand launches a truly innovative mechanical monstrosity that would leave anyone drooling. This year marks their 12th release which has been created in collaboration with watchmaker Emmanuel Bouchet and it really lives up to the hype of the series – The money shot in the watch is when the hour and minute markers roll 180 degrees. It is hard to explain the visual effect so the best thing to do is watch the video presentation at the top. The price is approximately $260,000. Looks very futuristic. Reminds me of Tony Stark’s arc reactor.